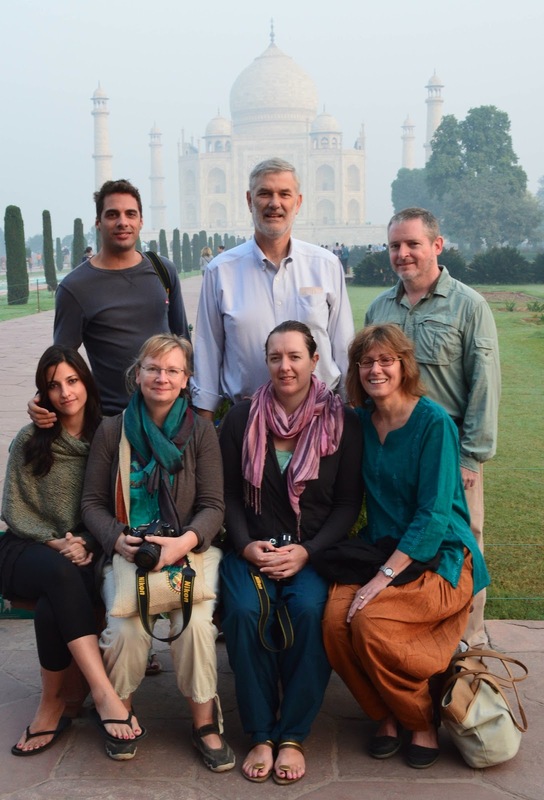 From Jaipur we traveled the third leg of the "Golden Triangle", taking the road towards Agra, the capital of the Mughal Empire from 1556 to 1658 and the site of the fabled Taj Mahal. 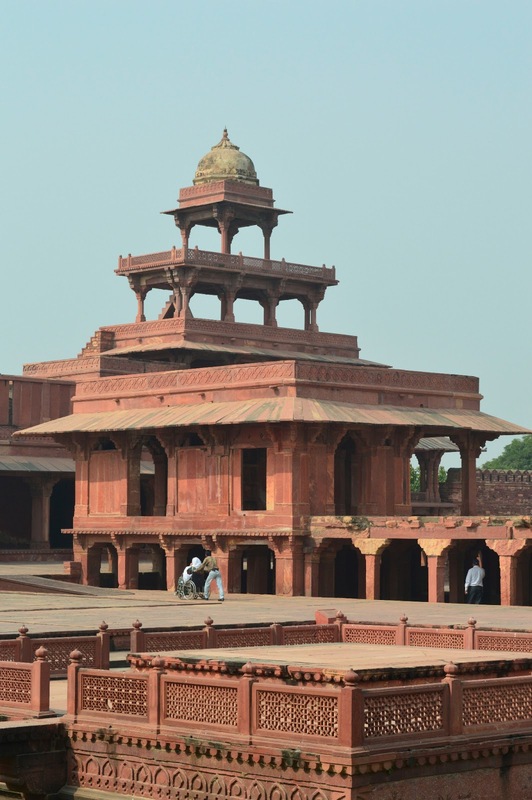 Along the way we stopped at the historical city of Fatehpur Sikri, a planned city constructed by the Emperor Akbar to celebrated the victories that consolidated most of Northern and Central India under his rule. 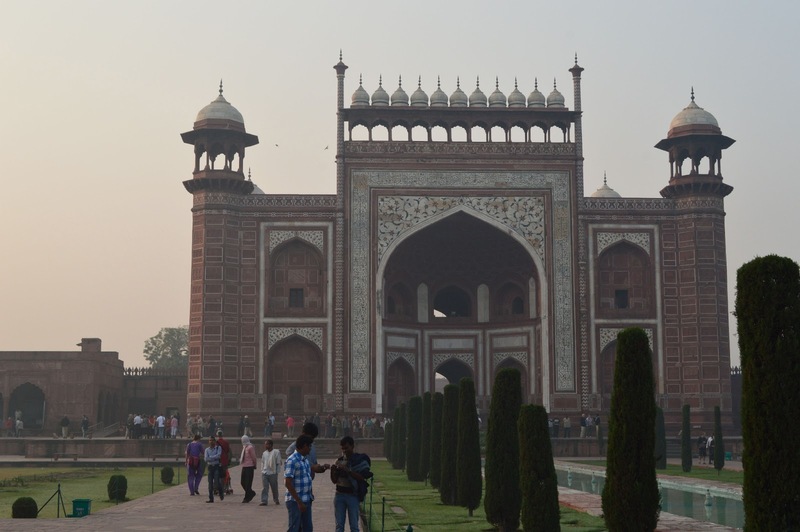 Another amazing place built mostly of red sandstone with several palaces, a mosque of course, and the marble tomb of Sufi saint. 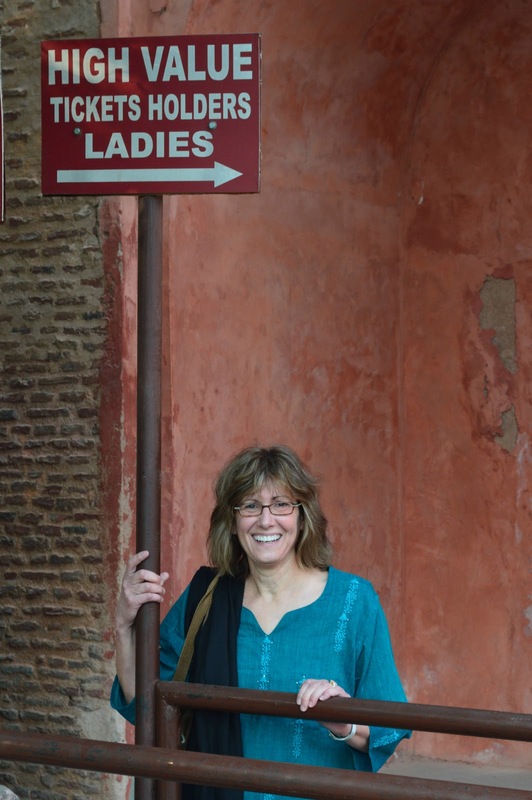 We arrived in Agra late in the afternoon, with just enough time for a quick tour of the Agra fort. 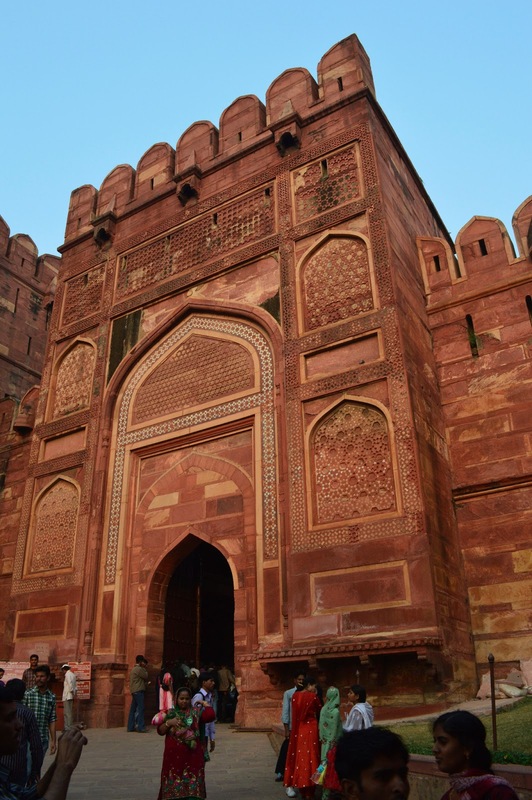 The fort itself reminded me quit a bit of the Red Fort in Delhi, with red sandstone walls enclosing palaces and buildings erected over the course of hundreds of years. 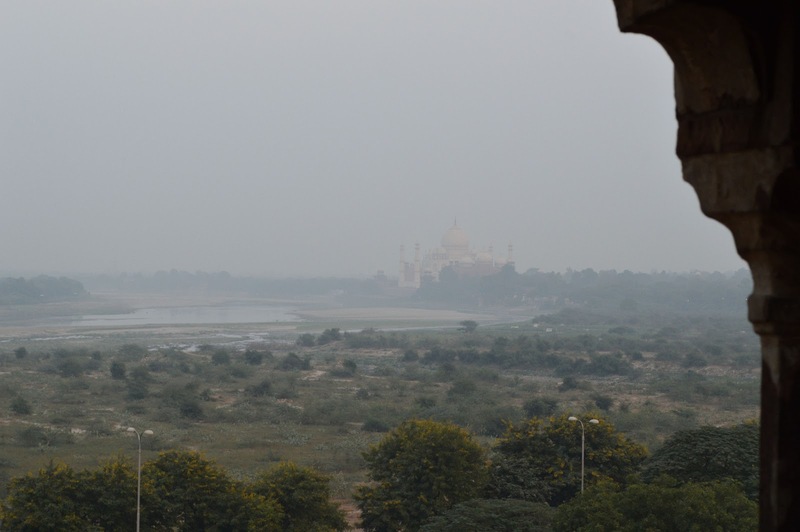 The Agra Fort also played a major role in the Indian Rebellion of 1857, but is perhaps most famous for being the residence, during his last years, of Shah Jahan, imprisoned by his son in the fort where, he could see in the hazy distance glimpses of white marble of the tomb he built for his beloved wife - the Taj Mahal. 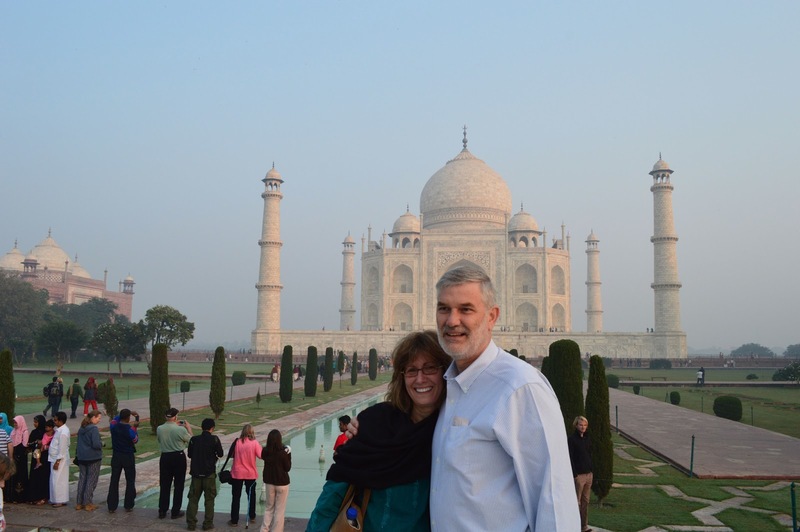 After touring the Red Fort we headed to our hotel and dinner, eager to get up early to experience the Taj Mahal early the next morning. After waiting in line briefly, we lead through the outer courtyard and then walked toward the gate. It was stunning. The beauty and grace of the building glowing in the early morning light filled us with a sense of wonder and awe. Even with hundreds of people around, the grounds and gardens are big enough that we did not feel crowded and everyone seemed to be struck by the place. It was magical. 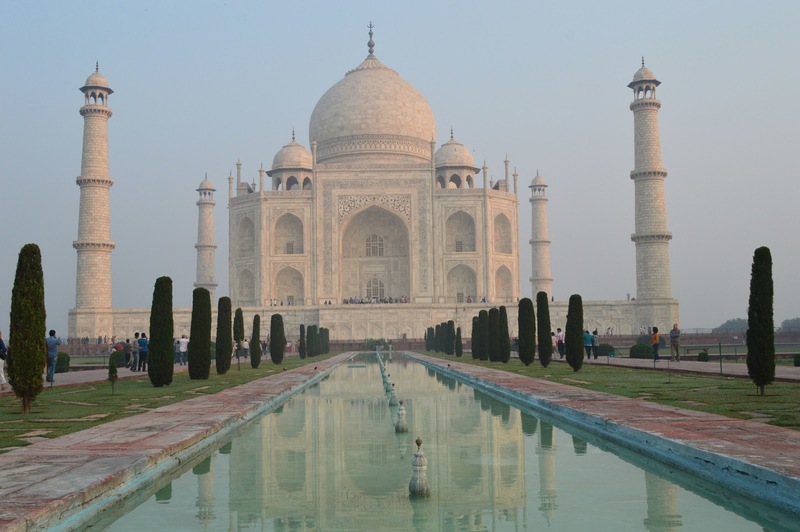 It if were not for the fact that we still live here in India and there are so many more places to go and see both here in India and around the world, we might almost call it the trip of a lifetime. 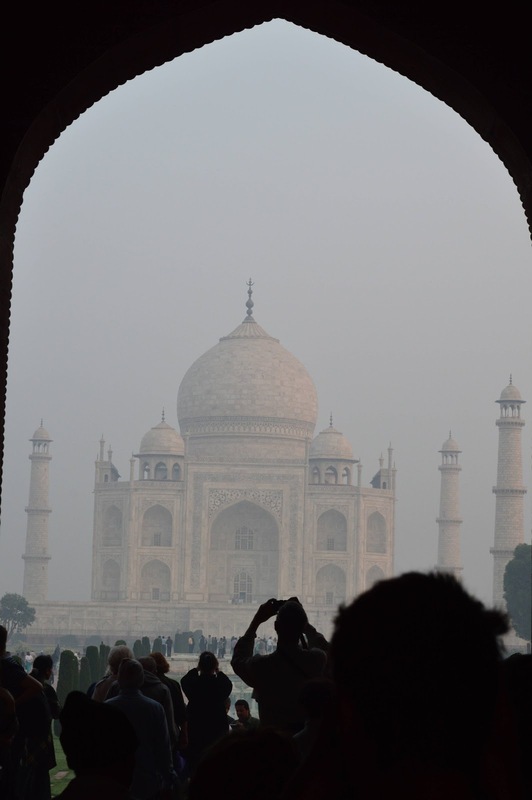 That evening, as we had dinner with our group and reflected on the day, we were somewhat taken aback as the discussion turned to "Now that you've seen the Taj, where do you want to go next?" We needed just a little more time to savor it, which we've been doing for several months now. Part of the reason this blog post took so long to write is that it is just so hard to express how magnificent an experience it was and pictures, though giving a sense of the beauty, do not capture that feeling. Wow....what a phenomenal experience. Your pictures and writing fill me with the awe you must have felt when there.